The NSW Graffiti Hotline (free call 1800 707 125) operates from 9 am to 5 pm Monday to Friday excluding public holidays. 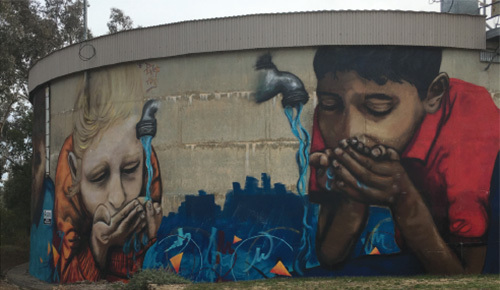 The Hotline makes it easier to report graffiti in NSW, resulting in faster clean ups. Anyone can phone the hotline to report graffiti in NSW and callers can remain anonymous if they are concerned for their privacy or safety. After receiving a report, hotline operators quickly send the information to the government agency or local council responsible for the clean-up. 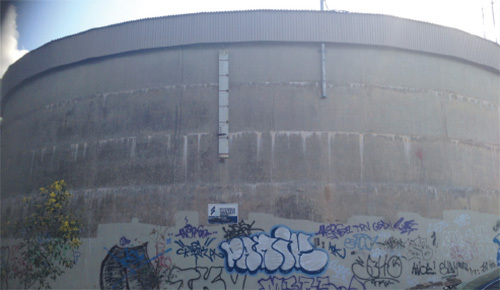 The NSW Graffiti Hotline also provides the Government with important statistics on the extent of the graffiti problem and the locations most often attacked. With the Police community portal the community can report graffiti and individuals will be issued with a Portal ID reference number that can be given to their insurance company while the report is processed for an official Event number. Currently at the portal there are three reports available: Theft, Intentional Damage & Graffiti and Lost Property. Wagga Wagga City Council’s reporting number for graffiti incidences on Council property is 1300 292 442 or online at www.wagga.nsw.gov.au/onlineservices or smartphone by downloading the iCouncil app in the app store to send Council a photo and location. The aim of Graffiti Removal Day is to highlight the problem of graffiti across NSW and encourage people to volunteer to remove and prevent graffiti. Graffiti vandalism costs the NSW Government and residents more than $300 million every year and it has to stop. Since its inception in 2012, the number of GRD volunteers has increased from 597 to over 1800 in 2017. In its first year, 100 sites were nominated. In 2017 volunteers removed graffiti from 428 nominated sites. Overall, roughly 120,000sqm of graffiti has been removed by GRD volunteers since the inception of the event. That equals a community service value of about $8.8 million value in savings for private owners and the Government. Removing graffiti can be a time consuming and difficult job. By taking preventative action you can avoid some of the expense and effort of removing graffiti. Keep your property clean and tidy, and free of rubbish, weeds and damage, to show that you care about your property and that vandalism will not be tolerated. Encourage your neighbours to maintain their properties so the whole neighbourhood appears neat and clean. Consider installing a metal cyclone fence, a fence constructed with natural materials (e.g. bamboo or bush reed), or bar fencing (e.g. pool or wrought iron fencing) that does not offer the flat continuous surface graffiti vandals prefer. Textured surfaces are difficult to spray paint and makes graffiti hard to read. Graffiti vandals are less likely to vandalise such surfaces as they won’t get the recognition they desire. Discourage graffiti vandals from vandalising your walls and fences by painting them with darker colours. Graffiti is less noticeable on darker coloured surfaces and is less likely to give the vandal the recognition they are looking for. Always keep extra paint on hand so graffiti vandalism can be covered-over quickly. For areas that are repeatedly vandalised, use graffiti resistant materials or protective coatings so graffiti can be easily removed. Install trellis on blank walls and fences to create an uneven surface. Alternatively, plant thorny and/or climbing vegetation in front of walls and fences to deter graffiti vandals. Climbing plants will make the surface difficult to graffiti. Hedges and green landscaping are alternatives to fences and deter graffiti vandals. Ensure your property has adequate security to prevent access by graffiti vandals. Restrict access to walls and other flat surfaces by installing locks, fences and gates. Secure items such as benches, barbecues and wheelie bins so they can’t be used to gain access to walls or rooftops. Graffiti vandalism is often conducted in areas that are poorly lit in order to reduce the risk of being caught or reported. Community members are able to consider motion-activated lights and through a customer request have council consider such lighting options in community areas that are often dark and vandalised with graffiti. Report instances of graffiti vandalism to the NSW Graffiti Hotline (free call 1800 707 125) at the earliest opportunity.